Get over Ranbir and Imran, here's a fresh new crop of star kids all set to bowl us over! As the Khans (read Shah Rukh and Aamir) move into the mentoring phase of their lives, the Bollywood playground is now open for the younger stars to fight over. Ranbir Kapoor and Imran Khan are undoubtedly two of the most promising actors among the lot, there are many who are about to make their debut in the movies. Alia, daughter of Mahesh Bhatt and actress Soni Razdan is all of 17 and will be soon launched as an actress in Student Of The Year along with Siddharth Malhotra, Varun Dhawan. Karan Johar and Shah Rukh Khan will produce the film under the joint banner of Dharma Productions and Red Chillies Entertainment. Shah Rukh and Kajol will have small roles in the film. The film is said to be on the lines of Kuch Kuch Hota Hai. Shooting begins in June. Alia is said to be already dating her co-star Varun Dhawan, director David Dhawan's son. Akshara, the younger daughter of actor Kamal Hassan and Sarika, is all set to take up acting like her parents and younger sister. It is also believed that Akshara wanted to become a filmmaker. She was assisting Rahul Dholakia on his film Society, which also features her mom, Sarika. The budding actress has also represented India for Latin Ballroom dancing, and she plans to represent India in the Olympics in 2012. Ahana daughter of Hema Malini and Dharmendra is finally even considering acting in a movie. After she refused an offer from Dev Anand and many other filmmakers, she will be seen in Aparna Sen's next. We are told that the movie is a modern-day take on Romeo and Juliet. Prateik Babbar, will be her co-star and the film is being produced by Hema Malini. Earlier Ahana was suppose to work in a Vikramaditya Motwane film produced by Anurag Kashyap but that film is on hold for sometime. It was also rumoured earlier that Ahana was interested in directing and had even assisted director Sanajy Leela Bhansali. Kumar Gaurav's daughter and Sanjay Dutt's niece Saachi is another actress to look for. 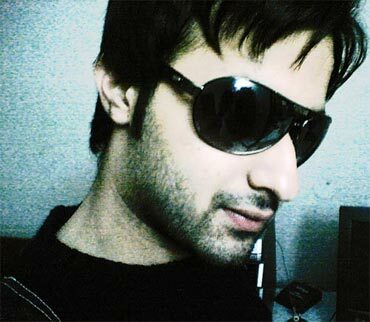 The 23-year-old is also a fashion designer and model and has been eyeing a career in Bollywood. If things don't work out Saachi plans to get back to fashion designing -- she has completed a six-month internship with designer Anna Singh -- and carry her eponymous label forward. Producer Karim Morani's daughter Zoa Morani is all set to make her debut with Shah Rukh Khan's home production in Always Kabhi Kabhi with Roshan Abbas as the director. The movie will be co-produced by the Morani brothers. Zoa has earlier worked as an assistant director to Farah Khan in Om Shanti Om. 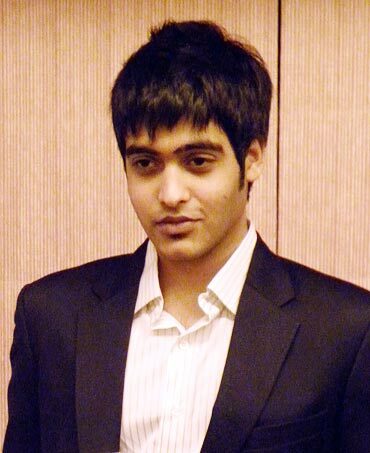 19-year-old Sakshi -- yesteryear star Vinod Khanna and Kavita's son -- wanted to be in the movies. So he went to the US for an undergraduate program in Film and Television at the New York University to study film direction. Soon after the first semester, he fell homesick and promptly came back to Mumbai. 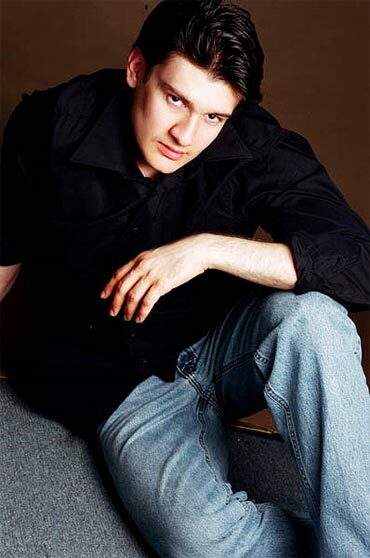 Recently he recently graduated from Roshan Taneja's acting school. Sakshi says that he wanted to be an actor since he was eight years old when he first acted in a school play. Following the standard Bollywood routine, Sakshi has also learnt swimming, horse riding and the martial arts. 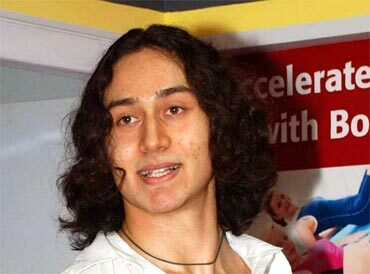 The real name of Jackie and Ayesha Shroff's son is Jai Hemant but for some reason likes to be called Tiger. Rumour has it that Subhash Ghai who was responsible for launching Jackie Shroff will also launch his now 19-year-old son. However no one is willing to confirm the news. Tiger says he has no plans for moves even as there are talks that he will make his debut in a remake of Hero, his father's first major film. It might however be at least a couple of years before the strapping boy gets launched. Sunny Deol is all set to launch his son Rocky whose real name is well Karan. Sunny was waiting for the release of Yamla Pagla Deewana to launch his son. So we won't be surprised if we see the film's mahurat soon. 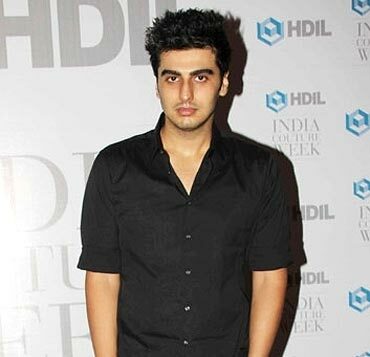 Son of producer Boney Kapoor and his first wife Mona Kapoor, Arjun is reportedly to make his debut in Bollywood with a Yash Raj movie. Boney, we are told earlier wanted to launch him in a Prabhu Deva production but Arjun got an offer from Yash Raj, which he grabbed with both hands. He has also worked as an executive producer in his father films like No Entry, Wanted and Milenge Milenge. Director David Dhawan's son Varun is scheduled to make his debut in Student Of The Year along with Siddharth Malhotra, Alia Bhatt. David Dhawan, who is directing the film Rascals for Sanjay Dutt's home production, wanted his son to make a debut outside the home banner. Varun has earlier Karan Johar's assistant in My Name is Khan. Rati Agnihotri's 23-year-old son Tanuj Virwani is all set to make his debut in Bollywood soon with Joe Rajan's yet-to-be-titled film. Tanuj has graduated from Kishore Namit Kapoor's acting school and has made three short films. He's written, directed, scripted, edited and acted in all these films that are of about 15-20 minutes duration each. He has also assisted David Dhawan and has also worked on Glen Barretto's Aao Wish Karein and Ken Ghosh's Chance Pe Dance. He was supposed to make his debut in Ravi Chopra's Purani Jeans with Giselle Monteiro, but the film never took off because of due to Chopra's ill health. Son of the late actor-director Vijay Anand will also be launched in his home production, which is said to be a thriller. Vaibhav, fondly called Vibhu, has also written the movie and is hoping to revive the banner after over 25 years. Vaibhav has worked as an assistant with filmmakers like Ravi Chopra and Sooraj Barjatiya. Changing fads, fashion and hemlines!